Our Vex Robotics Team has competed again at the world championships in Los Angeles. Congratulations to the team for winning the High Schools Division and to Jack Barker in particular for his Champion Driver award. 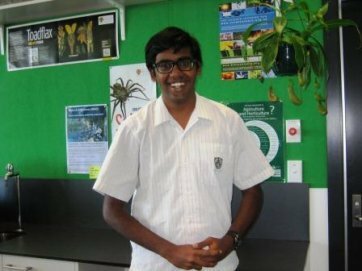 A massive congratulations to Akash Charles of Year 13 for being offered a place at the residential training camp this year in the New Zealand International Biology Olympiad. 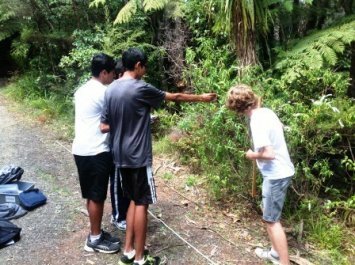 Akash has passed the second NZIBO exam (the entrance exam was in 2012) and is one of the top 20 students who will attend the residential camp held at Waikato and Massey Universities during the first week of the April school holidays. Laboratory experience and university style lectures will be followed by a final assessment to decide the four students who will go the international finals in Switzerland in July! Congratulations Akash! and we hope you can win one of those four places. Year 13 student Mason Ng has been reading about the stars and undertaking projects at the Auckland Observatory for a number of years and now he has been selected to attend the University of Canterbury's Aurora Astronomy School. Aurora, a 5-day Science camp is part of the University's Outreach programme and Mason will attend during the last week of this term. 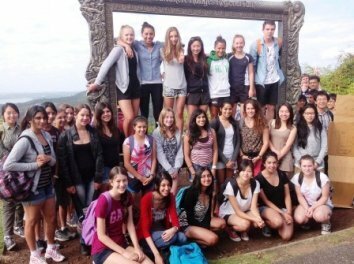 Only 20 students from throughout New Zealand have been selected for the camp and the programme will consist of a series of lectures, hands-on laboratories and computer-simulated observing experiences in astronomy to be held on campus. They will also be spending two nights at the Mount John University Observatory (MJUO). Mason feels very lucky to have been chosen to attend; there were several hundred applicants and Mason's straight Excellence record in both Physics and Maths no doubt gave him an edge. He acknowledges also the support given him by his Physics teachers Mr Boasman and Mr Reddy. planning a starry future. 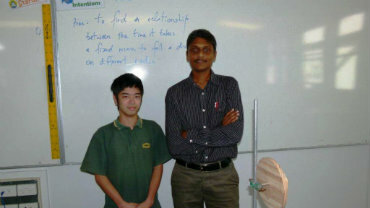 Mason is pictured with Mr Reddy, his Physics teacher. This is the first year that we have entered students in the regional rounds of the New Zealand Young Physicists’ tournament that took place at Kristin College in Albany. 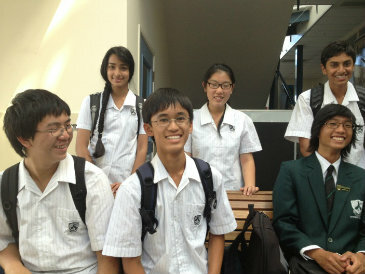 We had two Year 12 teams competing against mostly Year 13 teams from 17 Auckland schools. Team 1 consisted of David Wu (captain), Jahnvee Solanki and Steven Ling while Team 2 consisted of Boaz Competente (captain), Jessica Yao and Bhavish Kapadia. At the start of the tournament, our students felt intimidated by the Year 13 students which may have led to their not doing so well in the first round of the “Physics fights”. However, once they overcame the initial fear and got used to the procedures involved, they gained valuable points in the remaining two fights. Despite the two teams not finishing in the top 10, they must be praised for not only competing against some very capable Year 13 students, but who had a year’s advantage over them as well. The depth of the research they undertook in preparation for the problems will linger in their memories for a very long time. With this year's experience behind them, they have already started the discussion for next year’s tournament. We are confident of having a good run next year. 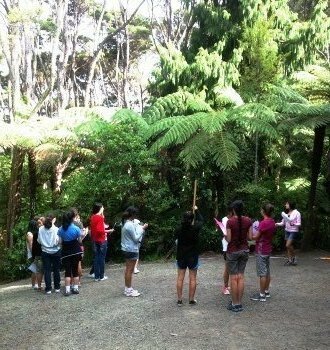 Over three days last week teachers led six classes of Year 12 Biology students on a field trip to the Arataki Nature Reserve. Assessment at Level 2 involves the study of this area, and the collection and analysis of data on community patterns. The students always enjoy these offsite activities, and we look forward to the high quality of the resulting assessment submissions.